Saturdays won’t be the same again. 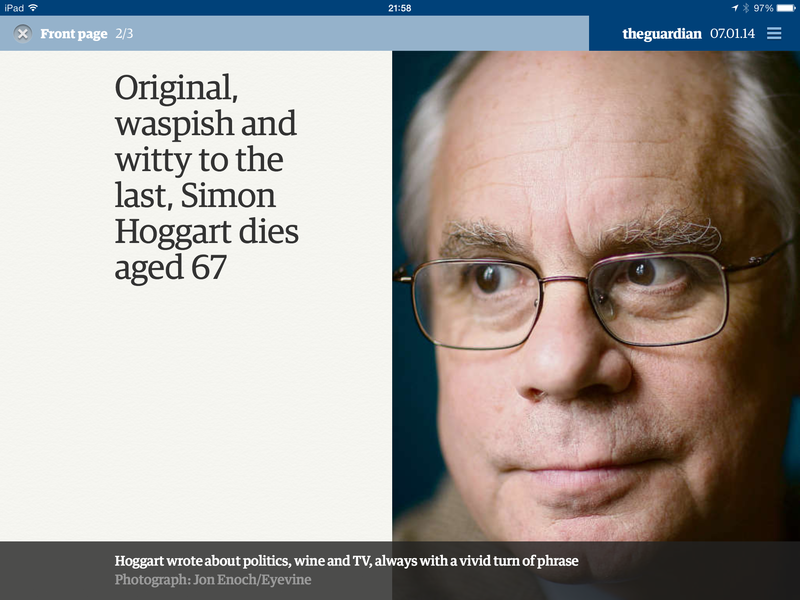 The Guardian weekend columnist and parliamentary sketch-writer Simon Hoggart has died aged 67. Never again will we savour Hoggart’s waspish columns, mocking politicians and everyday people – especially Christmas round-robin letters. Today, The Guardian’s obituary recounted examples of Hoggart’s wit, as well as his serious journalist, notably covering the darkest days of Northern Ireland’s Troubles. His damning account of the British Army’s actions on Bloody Sunday in Derry in 1972 was confined by the 2010 Saville inquiry.